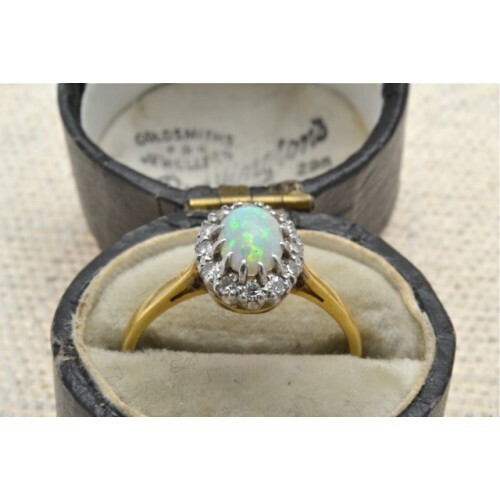 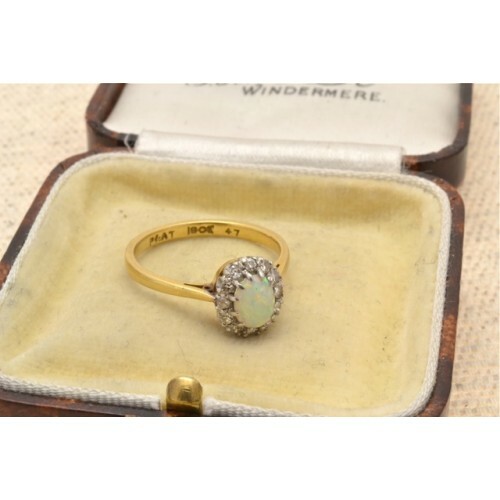 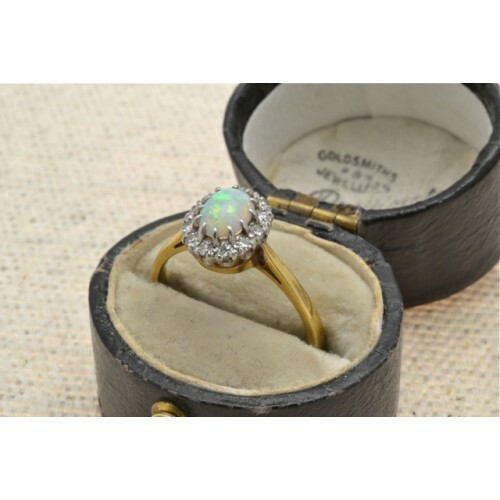 Opal and diamond cluster ring. 18ct gold and platinum set opal and diamond cluster ring, having a centre oval shaped opal surrounded by twelve brilliant cut diamonds. 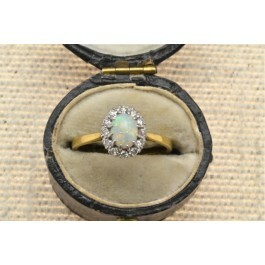 All claw set, platinum head, 18ct yellow gold shank.